Your fireplace is a source of warmth and comfort, plus it adds a nice aesthetic touch to the décor. Modern technology has come a really long way since the first chimney was installed. Today, there are many other ways to produce heat, and yet there is still something special about a fireplace and chimney. 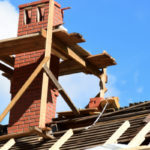 You count on your chimney to safely deliver warmth and comfort to your family, but there are a number of common chimney repairs that can wreck havoc if not attended to. All of these problems can be avoided with annual chimney check ups. According to the National Fire Protection Association (NFPA) you should have your chimney cleaned out and inspected by a professional once a year. Here are the 5 most common chimney repairs still plaguing homes everywhere in 2015. When you use your fireplace smoke goes up the chimney and out into the air, but along with this smoke is a substance known as creosote. This dark brown or black colored tar is a combination of soot and fine carbon powder that gives smoke its color. Creosote will build up over time on the inside lining of your chimney. Creosote is deposited in several forms, but all of these forms can lead to a chimney fire because creosote is highly flammable. Thousands of houses go up in flames every year due to dirty chimneys that have not been cleaned and are full of creosote. Creosote doesn’t just cause fires, but it can also reduce the ventilation system of your chimney allowing dangerous fumes to enter your home. If a chimney is obstructed this can cause carbon monoxide to seep into your home. Carbon monoxide is known as the “silent killer” because it is odorless, tasteless and invisible. In other words, it can poison you and your family without any warning at all. It is recommended to have your chimney swept and cleaned out every year by a professional before the cold season hits. We thoroughly clean and check your chimney to make sure your family is safe and warm year after year. Do you know what materials your chimney flue is made of? The chimney flue covers the inner lining of your fireplace. The most economical option is a clay tile but this is not the best option. This is why; it gets extremely hot inside of your chimney and when the flue is made of clay it will easily crack and start to break down. It is highly recommended to have your chimney inspected annually to ensure your chimney lining is not cracked. This is so important because a cracked chimney flue can be incredibly dangerous. A fireplace with a damaged flue should never be used until it is fixed. If there are cracks in the lining the extreme heat produced by the fireplace will escape through, reaching the exterior of your chimney and home. Any combustible materials or accessories near the chimney suddenly become prone to exploding into flames and sparking a house fire. Also, if there are cracks in the flue dangerous chemicals, such as carbon monoxide, are able to escape and potentially seep into your home. 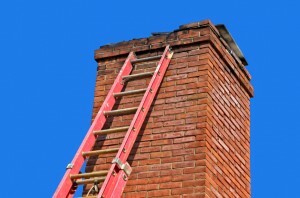 Another common chimney problem is a blockage of some kind. There are many things that can get inside of your chimney and clog it up, including debris, leaves, animal nests, or even parts of the chimney if the masonry work is actively deteriorating. A blocked chimney is very common (and dangerous), and is often realized after a fireplace is used for the first time in a long time. A blocked chimney is usually impossible for someone to notice, because you can’t tell by looking at the exterior of the chimney. When your chimney undergoes its annual inspection any blockages will be noted and taken care of so you don’t have to worry about it. Your chimney cap and chimney crown protect the inside of your chimney from the harsh exposures all around. If this first line of defense becomes damaged debris and moisture have the chance to enter your chimney. Blocked chimneys are very common due to destroyed caps or crowns. A lot of trouble will be prevented in the future if your chimney cap and crown is caught right away and fixed. Chimney masonry is incredibly durable but it does require some maintenance from time to time. 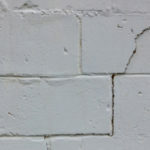 The first thing to deteriorate is usually the mortar holding the bricks together. Without strong and reliable mortar the chimney becomes exposed to moisture and subsequent issues that will compromise its stability. 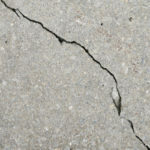 Repairs should be made at the first sign of loose or crumbly mortar. 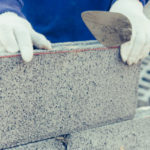 At Turnbull Masonry we offer full service masonry repairs, rebuilds and services. From our family to yours, we vow to keep your chimney in good working order and your family safe and warm!